NVMe solid states are insanely fast and getting more affordable every day. It is for this reason that most consumers should opt for them when possible -- they put SATA variants to shame. Even if you don't need the extra performance of an NVMe SSD, the ever-lowering prices make them a no-brainer. While most people probably think of NVMe SSDs as something to go inside a computer, they also make exceptional external drives -- when paired with an enclosure, that is. Today, Plugable launches such a new product, and it has a very cool feature -- it is tool-free. In other words, you won't need a screwdriver to open the USB-C enclosure or secure the drive. 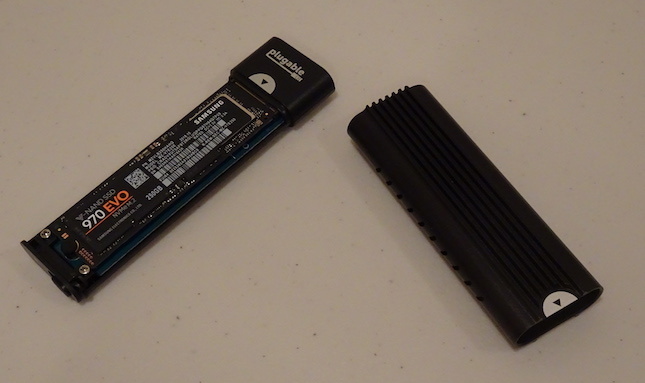 Instead, it uses a clever unlock button to open up, and a rubber peg holds the SSD down. I've been testing this USB 3.1 gen 2 enclosure with a 250GB Samsung 970 EVO and it has proven quite speedy and solidly built. "Unlike other NVMe enclosures that need screwdrivers to secure the SSD in place, the Plugable USB-C NVMe Enclosure enables opening the enclosure using a slide-lock, then gently aligning the NVMe notch into the socket and securing it in place with a tensioned rubber peg. Once the SSD is secured, users slide the cover back into place and it's ready for use. 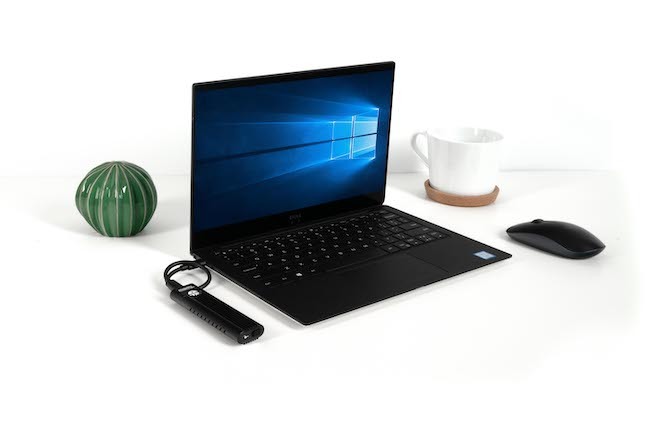 Thanks to the USB-C NVMe Enclosure’s rugged and durable frame, it can be thrown into a bag and transported to different workstations without damaging the SSD inside," says Plugable. The company further says, "The Plugable USB-C NVMe Enclosure’s aluminum body allows for peak heat dissipation compared to other solutions available on the market, thanks to its ideal thermal properties. 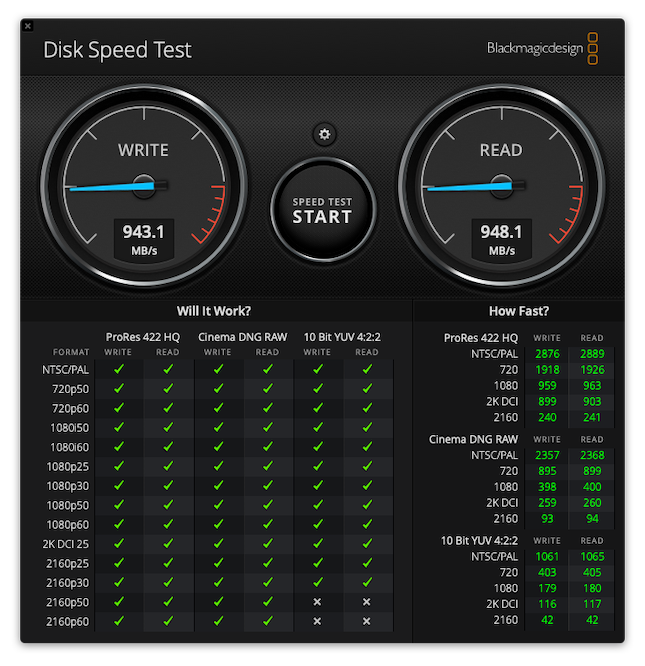 By dissipating heat while in-use, the USBC-NVMe allows SSDs to maintain high-speed transfers (up to 10Gbps) possible with the latest USB 3.1 Gen2 technology. For example, a transfer of 1,000 8MB photos, which can take up to 40 minutes using traditional thumb drives, will only take 4 minutes using the USB-C NVMe populated with fast media such as the Samsung 960 EVO. Heat dissipation also extends SSD longevity, reducing the need for continuous replacement and data migration." You can view the unboxing and overview video below. As you'll see, the enclosure is solidly built and attractive. The aluminum body feels very durable. My only real complaint, as demonstrated in the video, is that it is very easy to trigger the unlock button. This is a concern if throwing it in a bag, for instance -- something Plugable actually suggests you can do with it. Maybe Plugable can remedy the slide lock in a future revision. With that said, given the tool-free design, I envision this enclosure will be used more as a tool for conveniently accessing the data on these drives rather than serve as a portable enclosure in which you leave a single drive. Of course, you can use it for that if you want. Even with a problematic slide lock mechanism, the enclosure is still very useful. Plugable shares the following features and specifications. The Plugable tool-free NVMe SSD USB-C enclosure is now available for $49.95 from Amazon here.